Shark Vacuum Cleaners come in a variety of different models and styles. If it's cleaning spills, fur and dirt on hard or soft surfaces or difficult to reach places, the Shark vacuum cleaner collection has the perfect device to suit all your cleaning needs. I have a canister model too, a Shark Navigator Lift-Away Professional NV356E. I am particularly fond of that one because it has anti-allergen complete seal technology. That is their way of saying it is a HEPA vacuum. HEPA stands for high efficiency particulate air and that means nothing gets past the filters on this baby! Shark vacuums have creative thinking behind the product with high-ranking performance. They even have replacement parts if you lose something they have the parts and accessories to help you. One of the things that impressed me is they had the logic to place a motor pre-filter. The pre-motor filter protects the motor from excess dirt and grime that can get into the motor, ruining it by being abrasive to the working parts. Because Sharks designed this filter, it means longer lifespan of the motor. 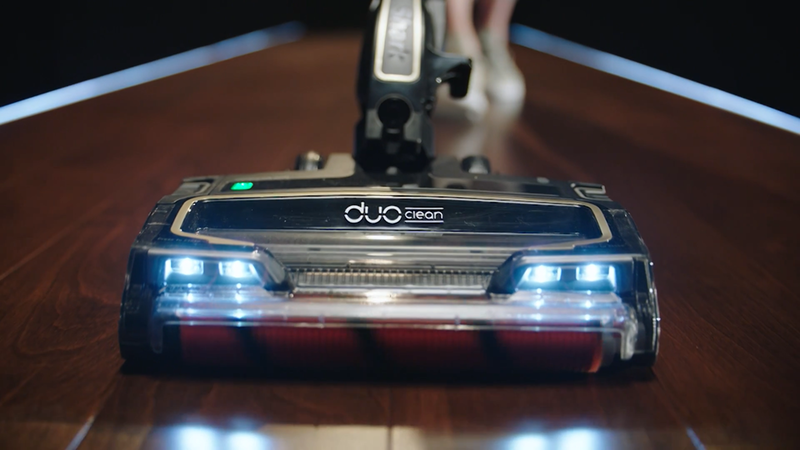 Our next purchase is going to be what they call the Sonic Duo for cleaning hard floors, it will even do stone floors too. It does carpet but we have vinyl and hardwood floors and these can be bothersome. They think of everything, because their Sonic Duo technology is state-of–the-art; they have how-to videos, tips, FAQ’s and special accessories for particular circumstances you may have when it comes to cleaning your floors. Shark equipment possesses the one thing that people want; the consumer wants a product to simply work without difficulties. They want a product that does what is boasts about, and Shark vacuum cleaners do just that. For instance did you know that Shark vacuum cleaners, such as the Rotary Lift-Away was tested and found it to have more suction than a Dyson! Most users are mothers, men and women that work hectic careers; they just do not have the time to bother with instructions and long drawn out manuals. They want something that is user friendly; they want a product of superior quality with ingeniousness high-tech advances without having a degree in engineering to operate it! Consumers want a trustworthy piece of equipment that will last and something they do not have to replace in six months. They want to plug it in and be done with it! Simplicity is a great trait that allows Shark vacuums to dominate the market and be as popular as they are. It may sound like I’m going over-board with all this but hey, I’m a technology nut and when it comes to great technology I get over-excited! I’m sold on the Shark Company, with competitive pricing and dedication to the consumer, I am a devoted customer.